What & Why So Dangerous? 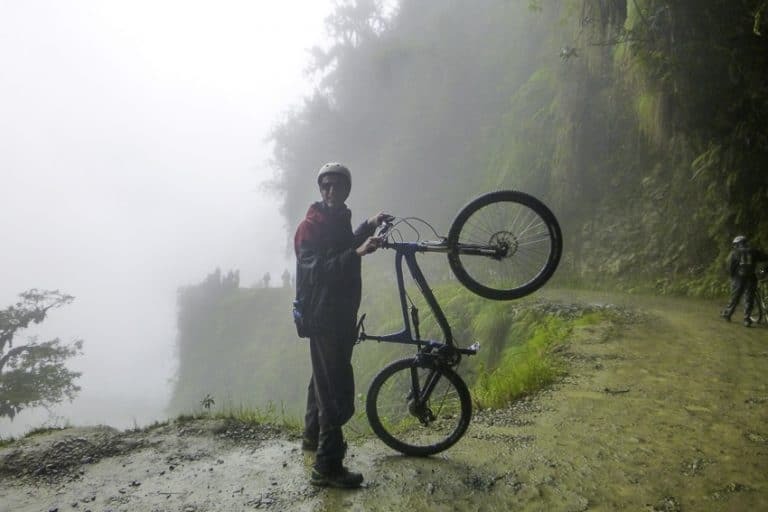 The Death Road, aka North Yungas Road, was, until 2009 the only road linking Bolivia’s capital city La Paz and Coroico in the North East. 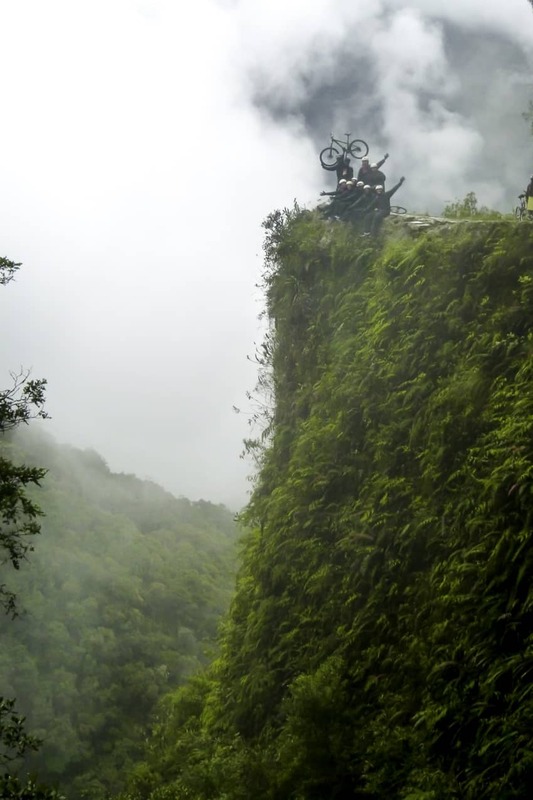 The Death Road is a wonderfully picturesque, 64 km super narrow road carved through the mountains. Featuring delightful 1,000 m+ sheer drops on the left, waterfalls and overhanging cliffs on the right. In 2006, one estimate suggested that 200 to 300 people were annually killed in road accidents, giving the road the title of the ‘World’s Most Dangerous Road’. 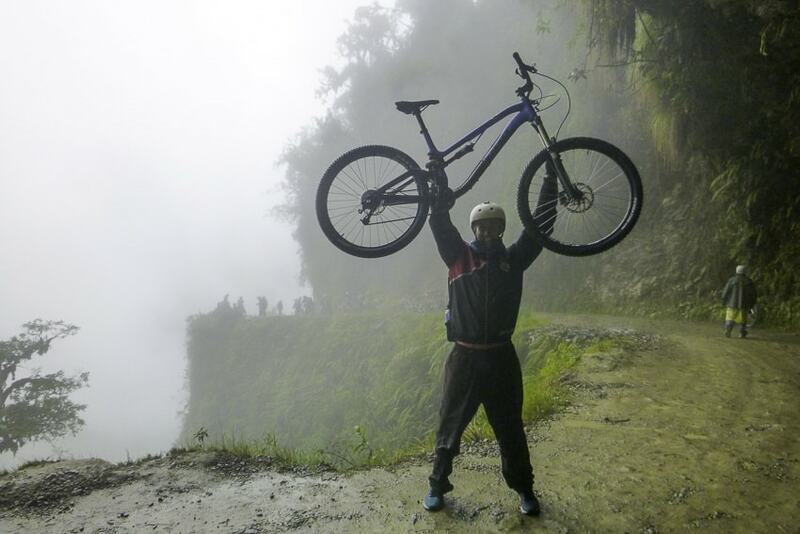 In 2009 the new road linking the two cities was completed, leaving the Death Road for thrill seeking mountain biking enthusiasts like us to conquer. Give us any excuse to get back on a bike, Michael and I are always game! After some recommendations and a little research, we decided to ride Death Road with Gravity Assisted Mountain Biking. Seeing as Michael’s dad was joining us (he had come out to meet us for a 60th Birthday treat to himself) we wanted to be as responsible as possible. 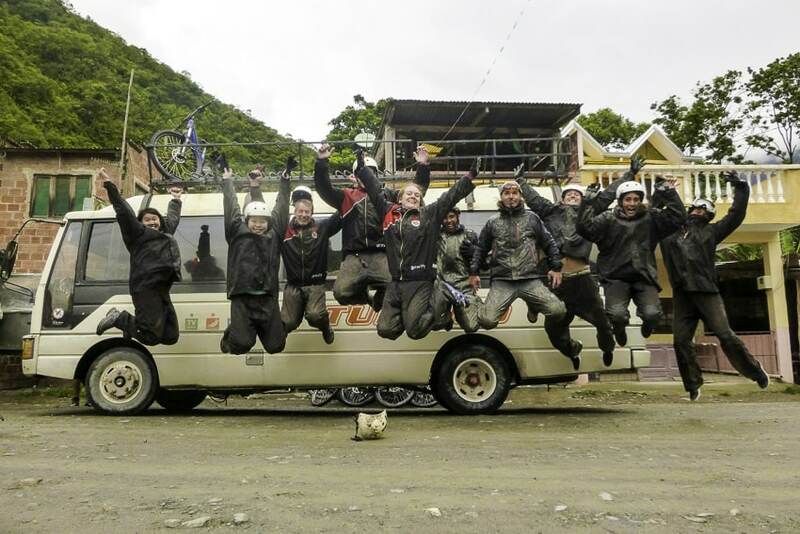 Gravity pride themselves in safety, professionalism and fun. We were not disappointed! 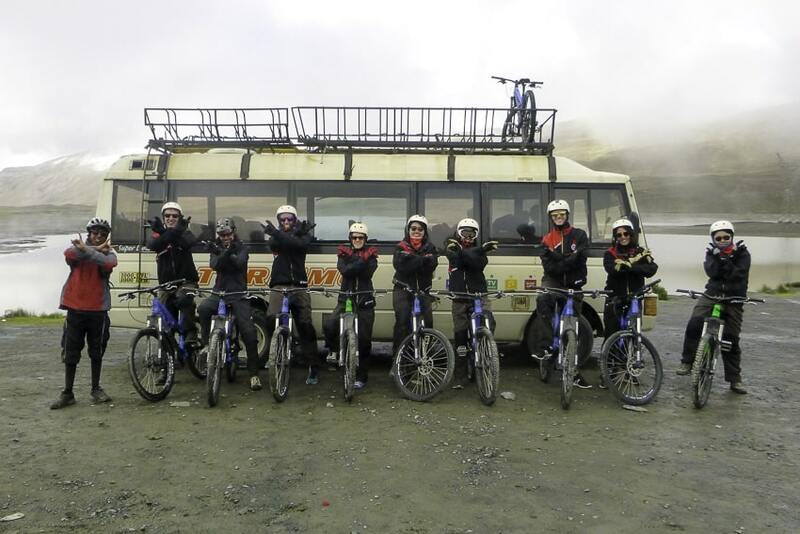 The bikes and banter were top notch. 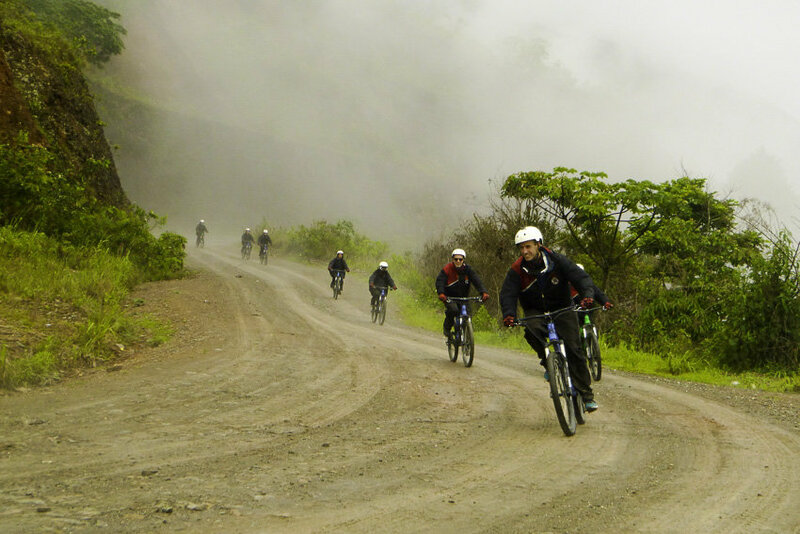 Riding the Death Road starts at 4,700m and stretches 64 km of almost pure downhill goodness, with the exception of a short uphill section nearer the bottom. Finishing up in the jungle at 1,100m to be greeted with a nice cold beer and an adrenaline rush. Happy days I say. 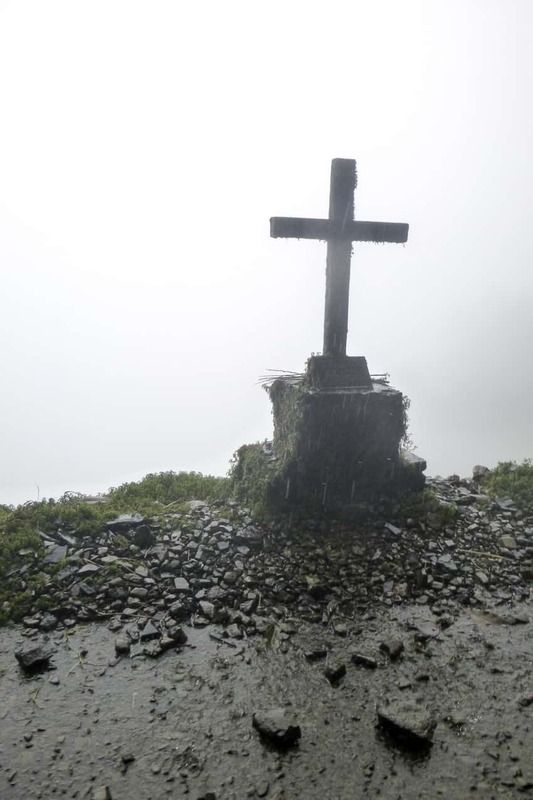 The weather from the top was a little dreary and so we figured we wouldn’t be getting any picture postcard views. 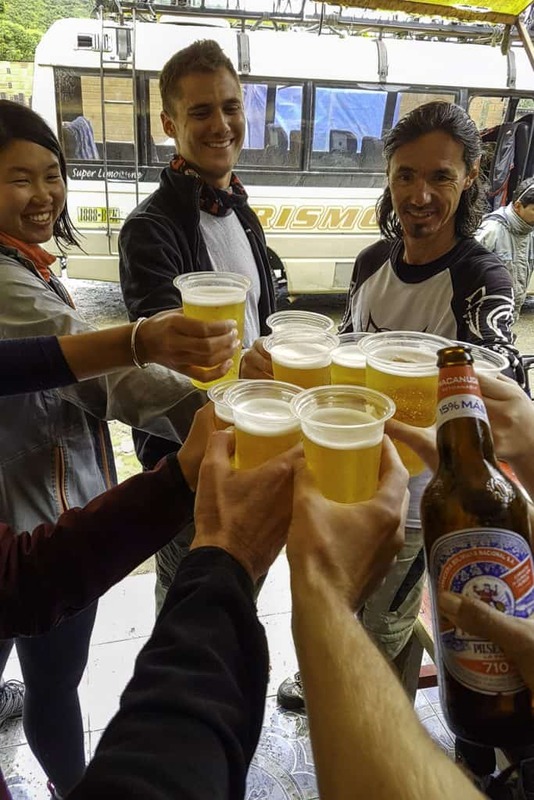 As we began riding down the tarmac, getting used to the bikes, the rain really started to pelt down. The one thing I can’t deal with is being cold. It was flipping freezing when we stopped for a little break. I was so close to tears and no amount of running around was warming me up. I have a hesitation buying food and drink from street vendors, but desperate times call for desperate measures! Michael’s dad very kindly bought me a coffee to warm me up. I really didn’t care if the water was filtered or not. Thankfully it warmed me a little. We came off the tarmac and began our decent on the dirt road – this is where the real fun began! It felt so good to be back on a bike, and to have a full-sus in the correct size was a real treat. I was loving it. Actively seeking out the larger rocks to fire off and trying to get air wherever I could! Michael and his dad were like rockets bombing down the road, rather proudly I was never far behind!! 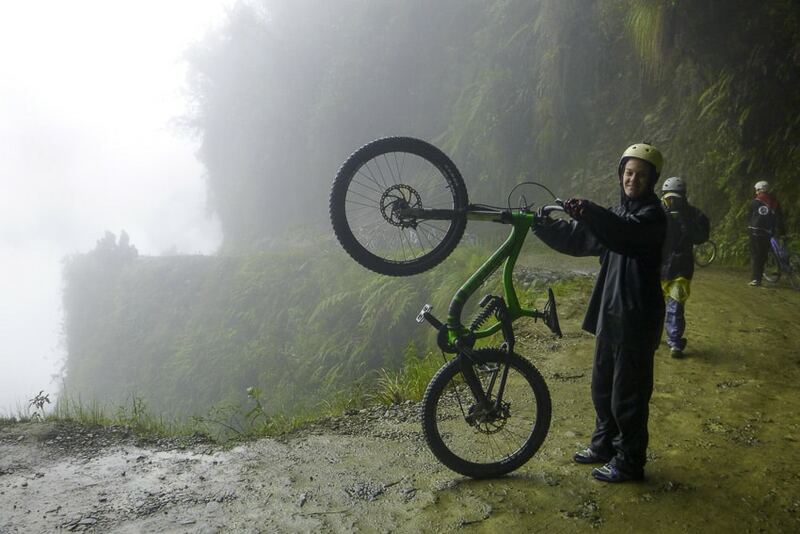 Riding Death Road was an awesome experience, even if we didn’t get the epic views of the valley. 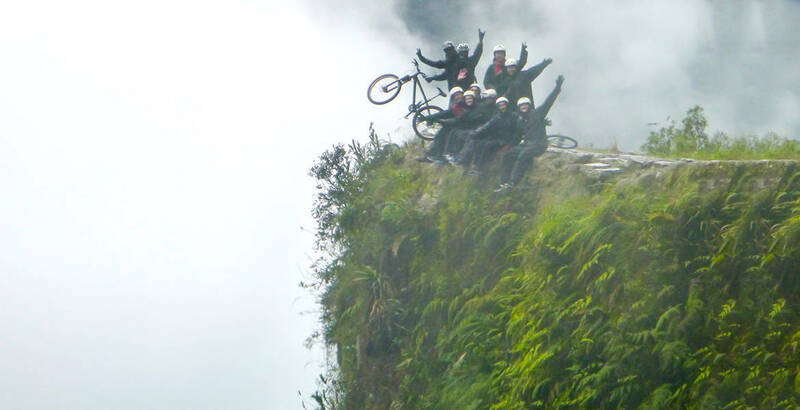 In some ways it was easier riding fast when we couldn’t see the dangerous cliff edges to the side! 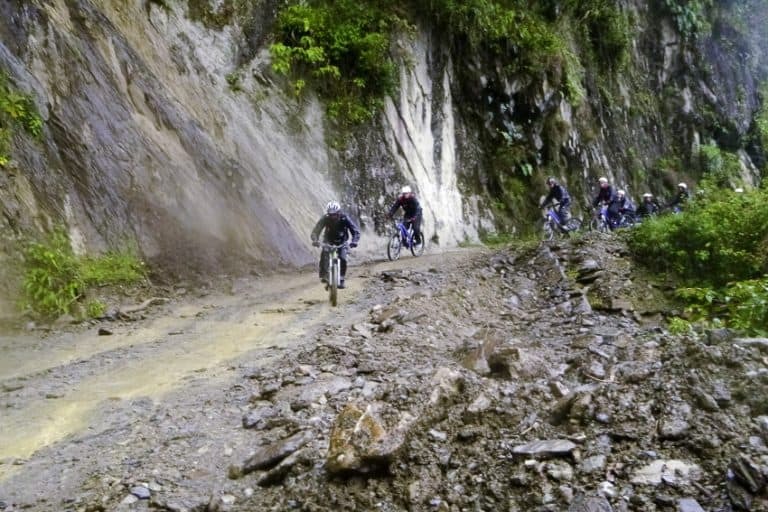 Gravity as a company were awesome, I would highly recommend and if I was to ride Death Road or anywhere in the area again, I’d 100% go with them. Our guide Noel was absolutely brilliant! Really informative, really funny, safe and totally up for a great time. Thank you Gravity for an awesome Death Road experience! 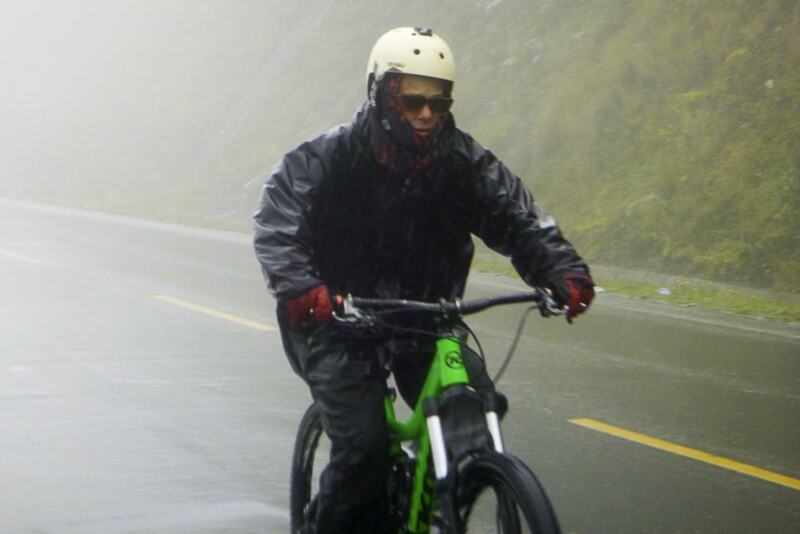 You guys are rocking with the bicycle really…the path looks really scary with that kind of weather. The views and the captures are stunning especially the knife edge photo was out of the world. Thanks for sharing this guys. 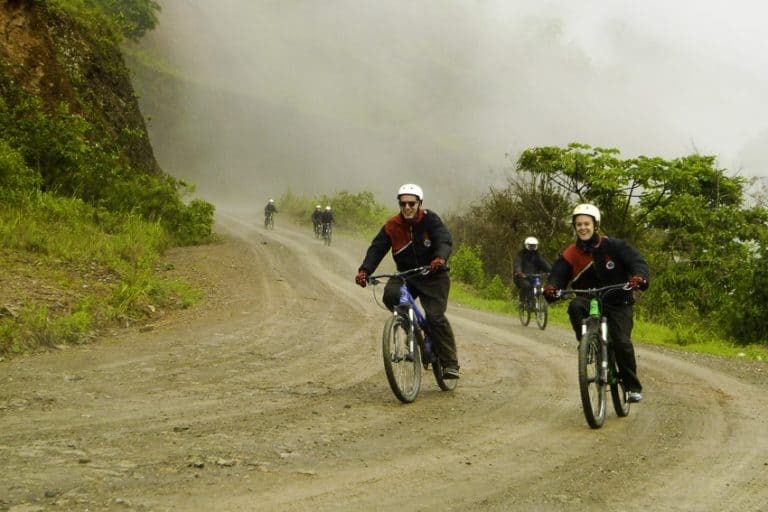 Part of the ride is on the dramatic and scenic World s Most Dangerous Road, dubbed such by the Inter-American Development Bank in 1995, and locally known as The Death Road or Camino de la muerte!